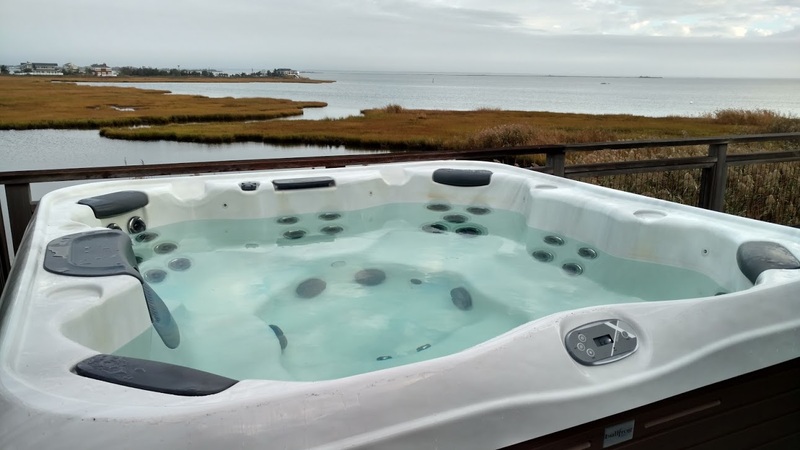 When the expense of a swimming pool is beyond someone’s budget, as we wrote last week, a hot tub can be the perfect answer. However, these two amenities do not function the same way. How you maintain a spa, for example, is different from a pool. 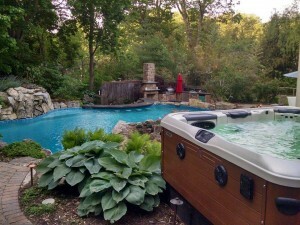 Tutoring hot tub owners on how to maintain their hot tub is something we do regularly at Best Hot Tubs showrooms. 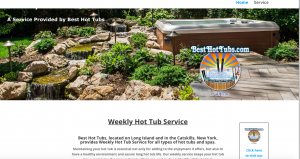 Indeed, Aqua Magazine says that one important aspect of having a hot tub store to visit is the ability to speak personally with experts about how to achieve and keep clean spa water. Why is that so important, you might wonder. Well. Many people view a hot tub as simply a small swimming pool, which it is not. —One key difference is the temperature you run a hot tub — which can be as much as 20 degrees hotter than a pool. For the uninitiated, heat greatly affects the proper water balance you want to maintain. —Not to mention, bathers-to-water-volume in a hot tub is very different from a pool, which significantly affects how clean the water is. These three key areas contribute to changing the CO2 in spa water. And how you adjust that will, in turn, alter the water’s pH, which must also be adjusted. Is This All Too Much to Learn? Not at all! These factors needn’t frighten anyone. Becoming a spa owner does not require passing the equivalent of a master’s degree in water chemistry. A little tutoring from experts — about as demanding as learning your ABC’s in elementary school — is all you really need. Not to mention that your tutors (Best Hot Tubs) will be around to help should you forget anything you’ve learned. And then, there’s our blog posts. A quick search on our blogs will bring up lots of informative tutorials with many of the ABCs of keeping your spa water pristine. 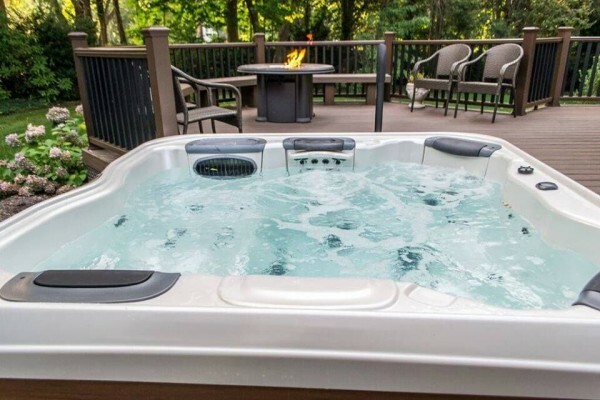 The point is, Best Hot Tubs is dedicated to ensuring not only that you bring home a hot tub perfectly suited to your personal needs and tastes, we’re also reliable friends who will hold your hand should anything you’re not sure about come up. Last, but not least, if you’d prefer leaving your spa maintenance in our hands entirely, we can do that through a service contract. A portable hot tub may not operate like a small pool, but that’s part of its charms. A pool is not where you turn when you need to relax, or get relief for aching muscles. 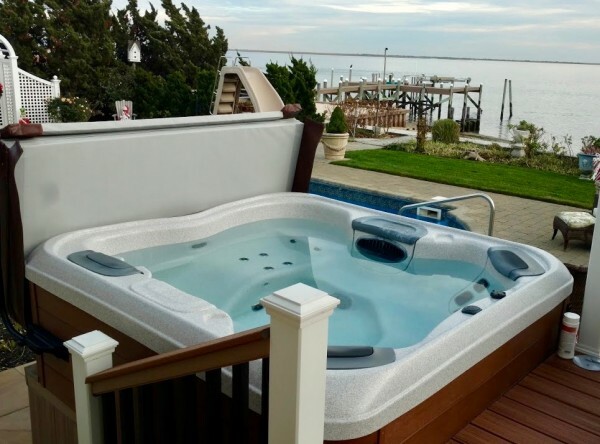 Bringing Home a New Hot Tub: You can rely on Best Hot Tubs to help you keep your spa as clean and optimal as the day you purchased it. 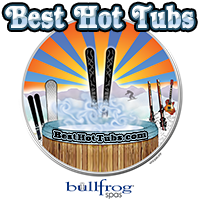 Maintaining Clean Hot Tub Water: This Best Hot Tubs’ Bullfrog Spa has pristine water. To maintain this, it is essential to purge out contaminants in the spa’s plumbing as well as keep a proper pH balance. We’ve got all the tips and purge materials you need to ensure this. Bullfrog Spas Interiors: The handsome “Sandstone” interior chosen by our clients shines beautifully in clean hot tub water.